Week two kicks off with a ‘Bandivesary’ – 19 years together for Madison Violet in Wallumbilla. We definitely have a festival vibe with the local school band and markets pumping as the sun goes down! 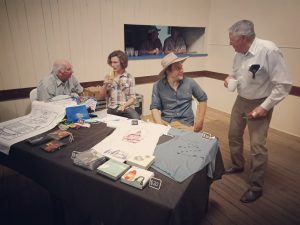 After the show, Harry & Elwood got chatting to residents local to the area for 83 years and were told the story of Leather Legs – the true inspiration for Sargent Small, a song that goes down a treat in Outback QLD. 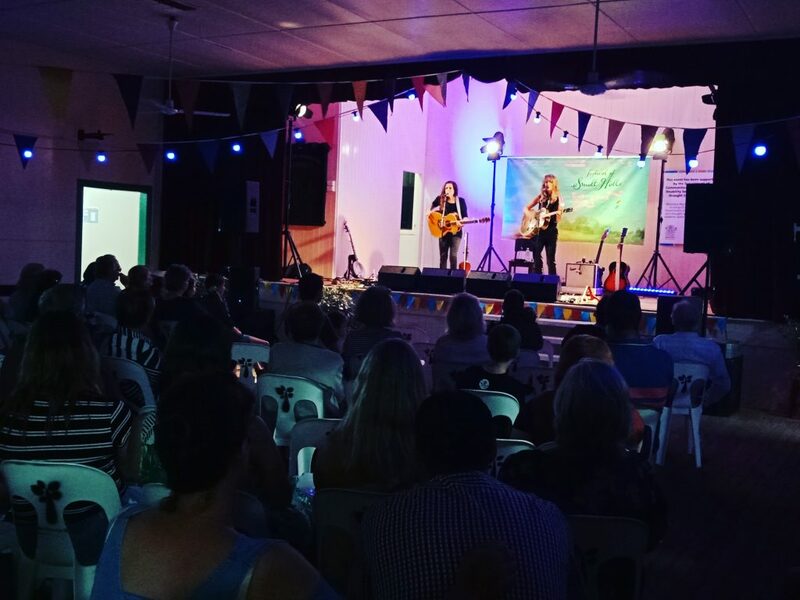 Next stop, Clermont where the musical talent just kept coming – a beautiful local support act where our host jumped up to play bass, and another local musician jumped up with his banjo to join in on a classic Jakamarra song. 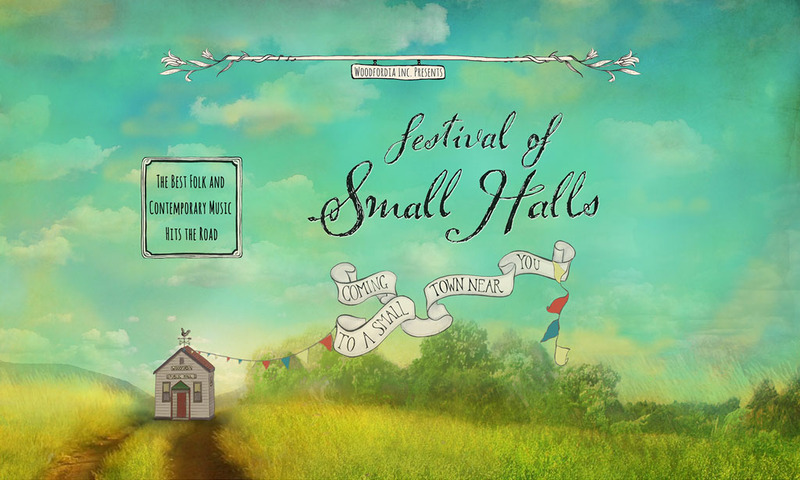 The boys from Broome sure have spread their music out into a very different kind of landscape! 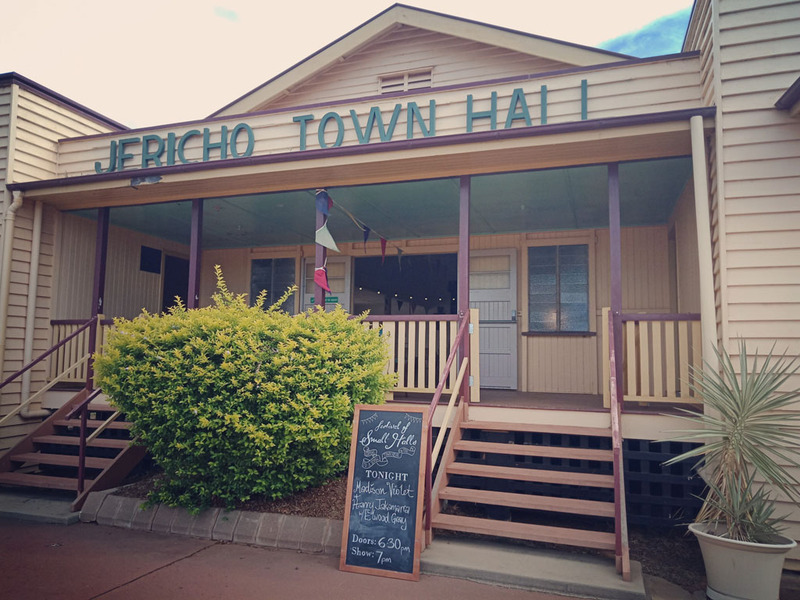 From here we headed out west to the small grazing towns with the alive and well small halls of the Barcaldine Shire. The heat kicked up a notch, and we slowed down our pace. This slower pace in the heat was met with the casual nature of shop opening hours, and we were delighted that shops were closed on Sundays back to when people didn’t have to be on 24/7. In all of the Barcaldine Shire region the people showed up and were well up for big chats, and we learnt a lot about the area and how it’s changed over the years. We checked out the roo’s cooling off in the shade, spied emus and echidna’s and the tour party soon learnt that their tour manager was a bit of a twitcher (bird watcher) as she pointed out all the bird species along the way. 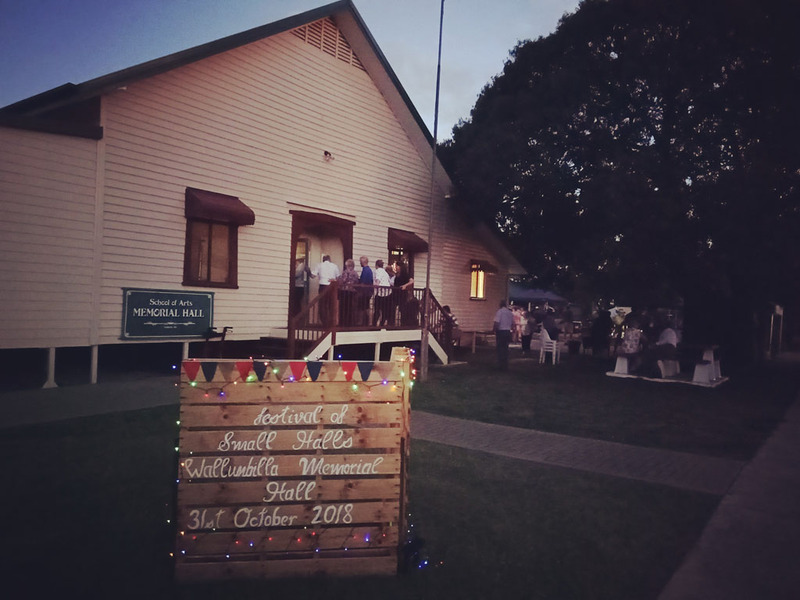 We finished up the week returning to Barcaldine, where locals were out in force to see the Small Halls Festival’s new line up in town, and the local’s made the night their own bringing along their picnics & coolers. 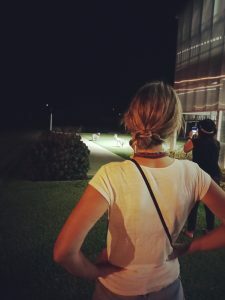 We saw the wonderful community spirit of Barcy!